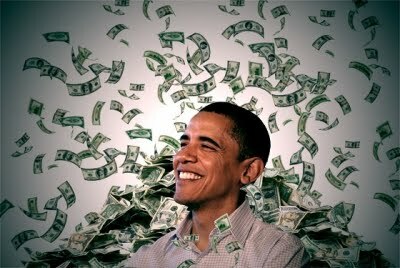 Obama and the Democrats who voted for the bailout gives your hard earned tax payer dollars to banks to help people who never should have owned a home. The banks line their pockets with your money taking it in trade for extending someones length of mortgage or discounting it for a while and charging them on the back side of the mortgage. Nearly 50% of the tax payer money welfare program participants can't make those reduced payments either and drop out or get kicked out of the program. Your grandchildren will be paying back this bailout which in all reality ended up in the banks pockets. The banks historically take about 100,000 houses per year. We are on track for 1 million this year. In 2011 it is predicted that there will be about 1.5 million foreclosures or short sales. WASHINGTON (Aug. 20) -- Nearly half of the 1.3 million homeowners who enrolled in the Obama administration's flagship mortgage-relief program have fallen out. "The government program as currently structured is petering out. It is taking in fewer homeowners, more are dropping out and fewer people are ending up in permanent modifications," said Mark Zandi, chief economist at Moody's Analytics. Zandi said the government effort will likely end up helping only about 500,000 homeowners lower their monthly payments on a permanent basis. That's a small percentage of the number of people who have already lost their homes to foreclosure or distressed sales like short sales - when lenders let homeowners sell for less than they owe on their mortgages. "We still have a lot more foreclosures to come and further home price declines," Zandi said. He said home prices, which have already fallen 30 percent since the peak of the housing boom, would drop by another 5 percent by next spring. AP Real Estate Writer Alan Zibel in Washington and Alex Veiga in Los Angeles contributed to this report.